At over 3500 square feet, this home is ideal for large families. 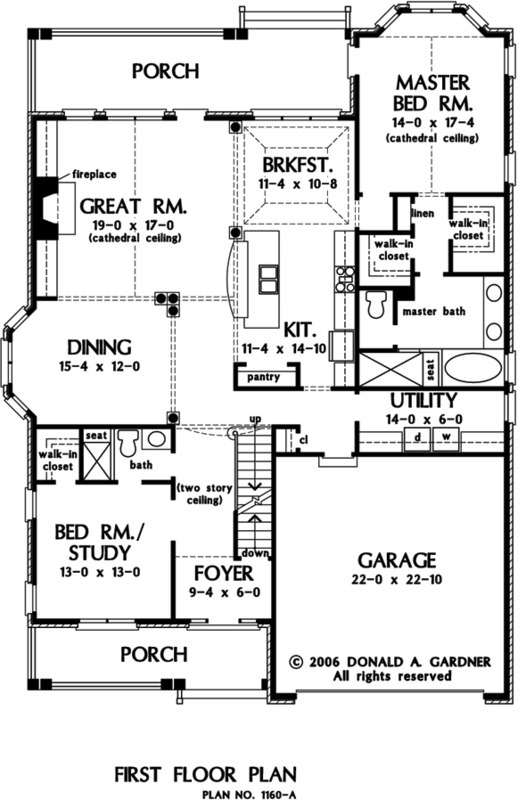 Five bedrooms and four bathrooms give this impressive design a family feel. A two-story ceiling in the foyer greets visitors and immediately draws the eye upward. A bedroom/study is up front and ideal as a home office or guest suite. Perfect for entertaining, the dining room, great room, breakfast room and kitchen are all open to one another, creating a natural traffic flow. A bay window highlights the dining room, while a tray ceiling adds interest in the breakfast room. 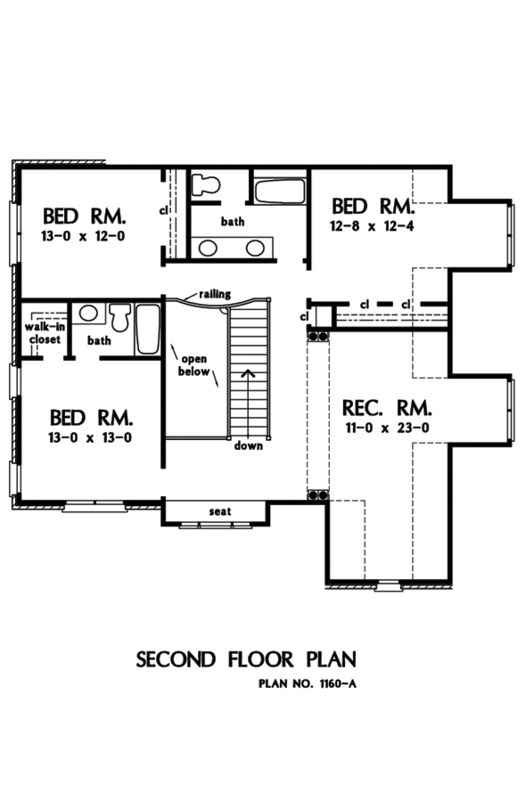 1st Floor: 2100 Sq. 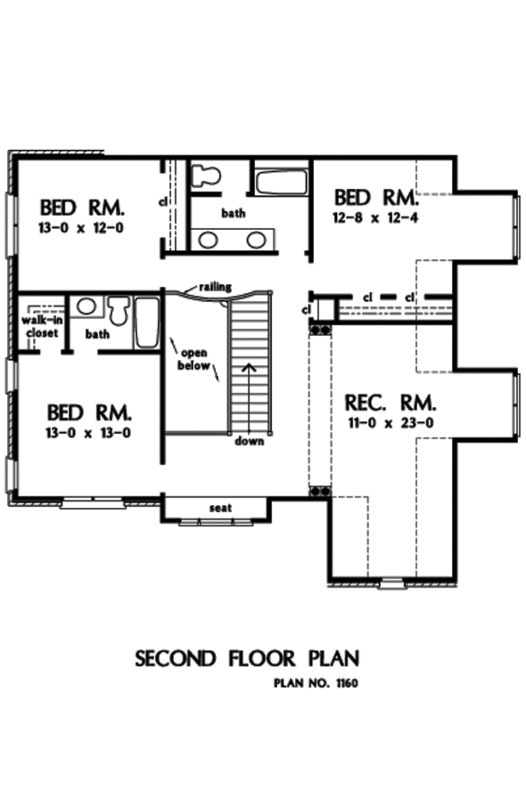 Ft.
2nd Floor: 1463 Sq. Ft.
Other Storage: 548 Sq. 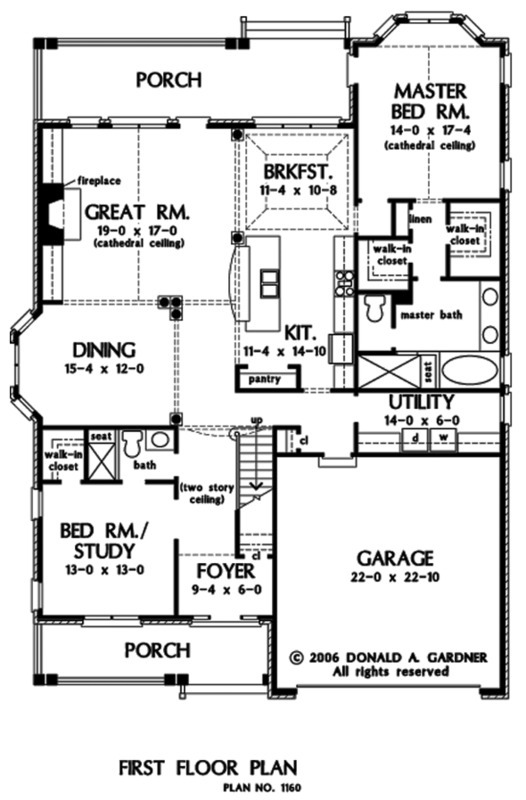 Ft.
House Dimensions: 48' 0" x 66' 4"
Great Room: 19' 0" x 17' 0"
Utility Room : 14' 0" x 6' 0" x 9' 0"
Bedroom #4 : 12' 8" x 12' 4" x 8' 0"
Bedroom #5 : 13' 0" x 13' 0" x 8' 0"
Bedroom / Study : 13' 0" x 13' 0" x 9' 0"
Breakfast Room (Tray): 11' 4" x 10' 8" x 0' 0"
Dining Room : 15' 4" x 12' 0" x 9' 0"
Foyer (2 Story): 9' 4" x 6' 0" x 9' 0"
Garage : 22' 0" x 22' 10" x 0' 0"
Great Room (Cathedral): 19' 0" x 17' 0" x 0' 0"
Kitchen : 11' 4" x 14' 10" x 9' 0"
Master Bedroom (Cathedral): 14' 0" x 17' 4" x 9' 0"
Porch - Rear : 31' 0" x 8' 0" x 0' 0"
Porch - Front : 23' 0" x 6' 0" x 0' 0"
Rec Room (Vaulted): 11' 0" x 23' 0" x 8' 0"